"I love my cocoa Butter"
COMMENTS: I love my cocoa butter. I love the smell and all. Great for a little price. COMMENTS: I purchased this to have a look and feel of the cocoa butter so I am aware in the future what to expect when buying either one of these butters. I used one butter in some lip scrub which I put into sticks. The other one I have not used yet. The one I used gave a very firm consistency in the final lip scrub. I used the white colored one. "I like both samples of Cocoa butter "
COMMENTS: The white is nice to be able to add your own color too, and the brown is great for natural products. COMMENTS: Can't be without. I mostly use the deodorized because I don't want everything I make to smell like cocoa but I love using both. BUT I put cocoa butter in almost everything I make. 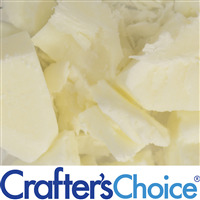 COMMENTS: Really liked being able to sample their Coco butters (refined and natural) as we all know not all Coco butter is good quality...both of these are great but I sincerly like the natural Coco better nice rich scent but both felt great nice and smooth feeling.. COMMENTS: This was a good deal for a mini wedding gift project I wanted to do. turned out well and smells yummy! 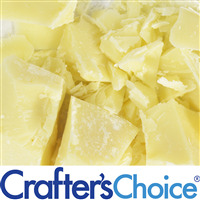 COMMENTS: Great way to try different kinds of cocoa butter and also to get it at a better price! I liked that this cocoa butter was in pieces instead of one large chunk. It is much easier to use than a kind I had from elsewhere. Thanks, WSP! COMMENTS: great way to try the different kinds with out spending lots of your hard earned money! :) glad I chose this way, so now I know exactly which kind I prefer with not any waste! COMMENTS: I tried both the natural and deodorized and both are very nice. The natural smells just like chocolate. It was used to make bath bombs. Distributed evenly into the bath. Great quality! COMMENTS: Being new to making my own lotions it was nice to try the different types of cocoa butter to find the one I liked best. It's the most inexpensive way to try before you buy in large quantities.